While the great outdoors may be Nepal’s biggest draw, stepping off the well-trodden tourist trail can be just as rewarding. We found just that on a visit to the historic village of Bandipur, which made its way next on our list. 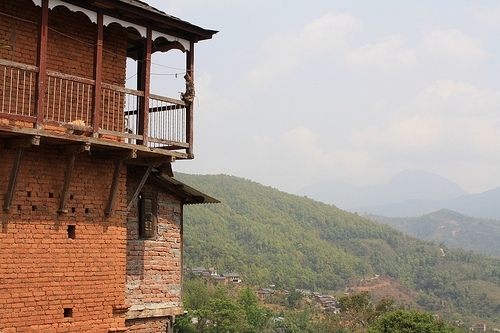 About four hours west of Kathmandu, the charming town of Bandipur is perched high in the mountains overlooking a deep river gorge, cascading rice terraces and mustard fields. It’s home to a community of Newari people, a mixed tribe of Indian and Tibetan-Bhutan origin, who are known to for their excellent farming, merchant and artisan skills. One of the greatest testaments to their skillfulness can be seen in their architectural brilliance. 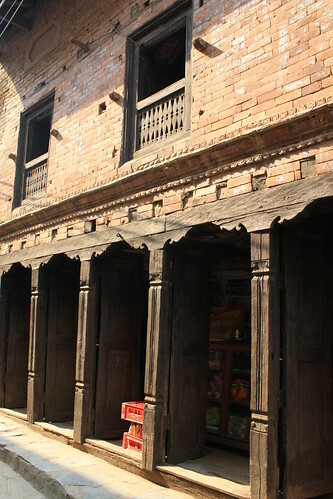 The style is marked by incredible brick work and an intricate style of wood carving rarely seen outside of Nepal. 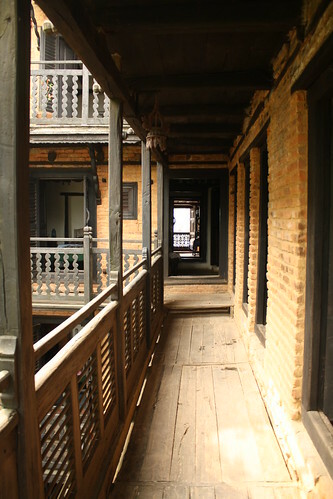 Bandipur is a living museum of the Newari architecture, with tall, brick buildings lining the windy, cobblestone streets. As tourism hasn’t arrived here, you won’t find internet cafes, postcards or tourist touts. 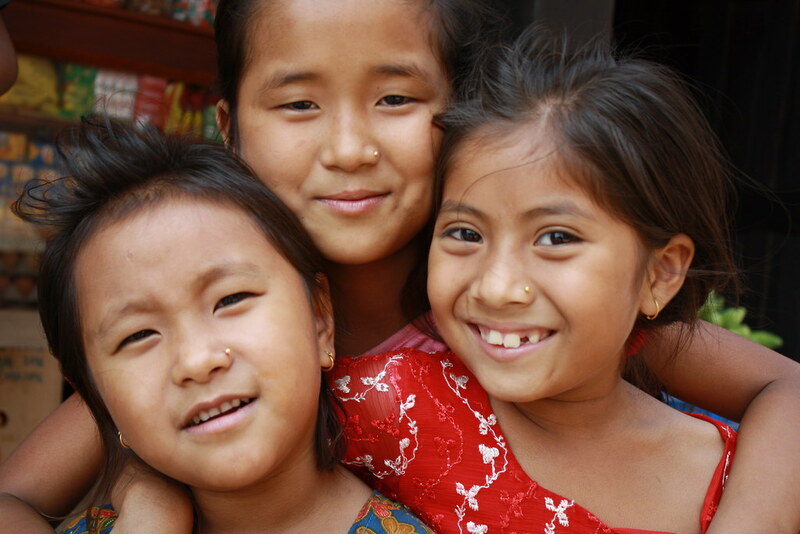 What you find is a community of Newari people going on with the daily life. After several days on the trails of the Himalayas, we were due for a bit of a treat, and pushed the budget a bit to stay in one of the beautifully- restored 18th centrury mansions on the main square. This place was incredible, and it took everything in us just to leave our little, cozy inn. Our charming room had a quaint balcony overlooking the Himalayas and was filled with small, unique touches of Buddhist and Newari art. Our time in Bandipur was brief but certainly memorable. We spent our days doing nothing more than wandering the streets of the old town and taking in the peaceful vibe of village life. This place for me was exactly the break I needed from the traveling road and enjoying a pot of tea on the terracotta terraces facing the mountains was a true Nepali highlight. @Cate – Bandipur was fantastic! Sometimes hard to find those less-discovered gems, and this place gave us just the experience we were looking for. Definitely worth the splurge on accomodation, might I add. This looks like a mountaintop heaven and kids look adorable (and cheeky). The stay in the home must have been worth blowing the budget. .-= Cate´s last blog ..E is for Ybor, C is for City =-.